With unlimited resolution, inherent noise protection, and no onboard processors, the resolver provides a robust, high-performance solution for a range of demanding applications including operation in temperatures as high as 200°C, high-radiation environments, or in situations with very high shock and vibration loading. The basic operating principles of a resolver and what factors impact performance. How a resolver is made and how it "resolves" angular position. 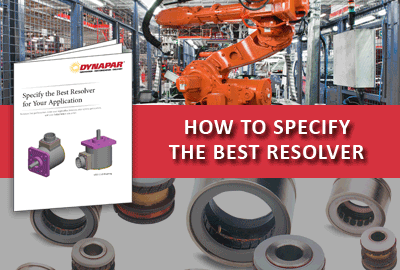 Download this white paper to learn how to resolvers differ from encoders and the see examples of applications best suited for resolvers.